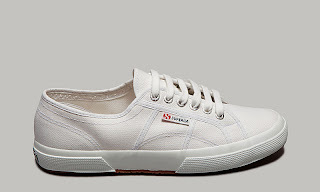 Before living in Italy I had never noticed or heard about Superga. Maybe I was living under a rock, or maybe they just aren’t that big in the US because I’ve still yet to see someone wearing them around here. Either way, it’s quite the opposite over in Italy during the summer where everyone and their mother (and sister and brother) are wearing these things. They’ve been around for 101 years and used to simply be a good functional inexpensive pair of sneaks that could be easily cleaned in the washer. Fast forward to today and the price has gone up, though not absurdly, and they’re all the rage with people of all ages. The classic pair in white is the most popular and is inarguably perfect for summer. It’s crisp and clean and goes nicely with sun kissed skin. 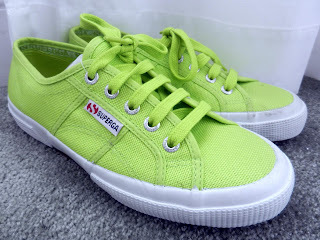 I quickly decided I wanted a pair, then read about Mary Kate and Ashley teaming up with Superga and decided I definitely needed a pair. Then came the hard part: what color or pattern should I go with?? Should I buy the classic white or splurge on something a little more fun? Eventually I went for these babies. My favorite color is green (as is Corey’s in case you’re wondering) and at this point, it’s hardly necessary to even say neon is in. Since completing the purchase, I’ve been back and forth on whether I should’ve just stuck with white, but ultimately I’m glad I went for the fun pop of color. Now I just have to figure out what to wear them with! What outfit would you wear with sneaks like these?